Audio CD - Approximately 55 minutes listening time. No person represents the Renaissance spirit and achievement more than Leonardo da Vinci (1452-1519). A painter, sculptor, draughtsman, scientist, engineer, architect and musician, Leonardo's voluminous notebooks cover topics ranging from anatomy to optics to manned flight. His understanding of the human body, the laws of nature and mechanics were centuries ahead of his time. His paintings such as The Last Supper and the Mona Lisa set the standards for Renaissance art and still stand today as some of the world's most outstanding examples of Western art. 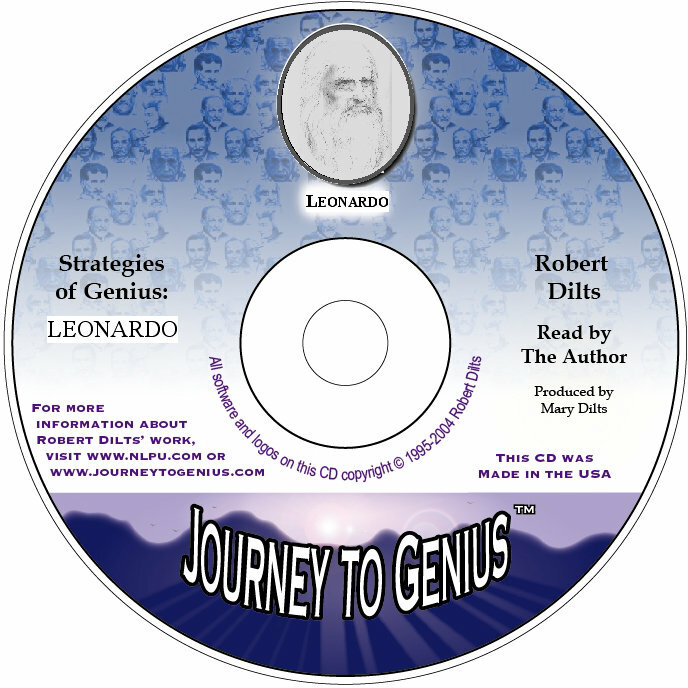 On this CD, Robert Dilts reveals some of the fascinating secrets behind Leonardo's incredible creativity. Drawing extensively from Leonardo's notebooks, Robert provides a rich and comprehensive description of Leonardo's creative process. Tracks 1-9 explore the key elements of Leonardo's strategy for observation and "knowing how to see" as well as other important aspects of Leonardo's thinking process. These include chunking and organizing key features, taking multiple perspectives and considering extreme conditions. Track 10 takes the listener through a guided meditation, applying Leonardo's strategy to his or her own goals and projects.